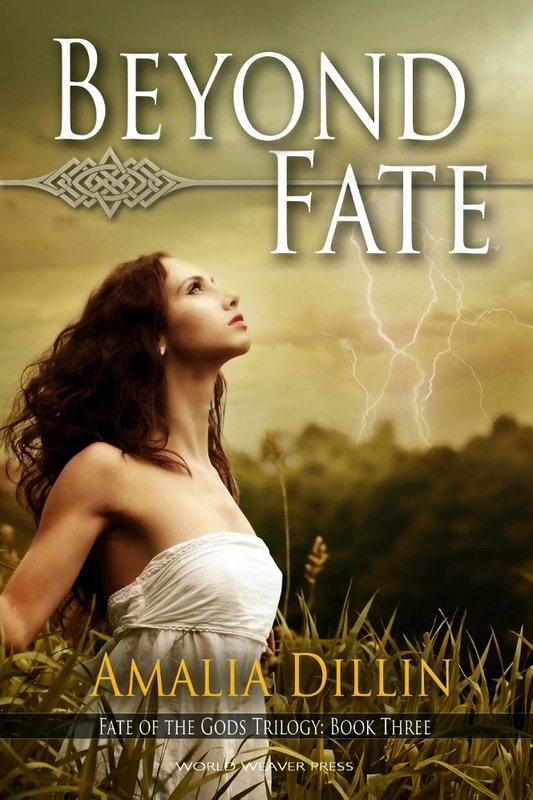 Good To Begin Well, Better To End Well: BEYOND FATE Is Here!!! And today is the big day -- BEYOND FATE's release day!! More than 10 years in the making from the first seed of an idea to publication of the final chapter in the trilogy, and I am so excited to share the conclusion of Adam, Eve, and Thor's journey with all of you at last!! When Adam left Eve, abandoning his wife and their newborn daughter Elah, he thought he was saving the world. But he hadn't counted on the influence of Michael, twisting Elah's love for her parents into paranoia, or the slow, leaching death of the world she rules. How could he have known the blame for the world turning barren would fall on Eve? Eve only had two years to teach her daughter love, to cement Elah's sense of morality and ensure the safety of all Creation. Even with the help of Raphael, Elah is becoming her father's daughter, a master manipulator, and she's determined to have her way, even if it means betraying her own mother's trust. With Loki and the Aesir gone, Thor thinks he’s protected Eve from the ravages of Ragnarok, but there are forces in play even the gods can’t see. When Thor arrives in Eve's next life, offering her everything she ever wanted from Adam, and more — eternity without death or rebirth, and the freedom to live outside of her daughter's reach — Eve is more than tempted. Being part of the world has grown physically painful. If she can escape to Asgard, maybe she can live again. Maybe she can love again. But can the world survive with only Adam to protect it? So what are you waiting for? Grab your copy in ebook or paperback and find out what happens to Adam, Eve, and Thor when a young Goddess takes over the world! And as a bonus, for helping me spread the word -- assuming you take part in that sort of thing -- I'll be giving away your choice of #NAMEthatBUTT or Postcards from Asgard postcards! If you want, Thor, Adam, or Eve will even personalize them! I'll also be giving away a 10 dollar Amazon giftcard and an annotated print copy of TAMING FATE (US only) with some extra swag (and a postcard of course) as a grand prize! Postcards are open to international winners. If an international entrant is drawn for the grand prize, they will win a postcard and I will draw a new name! PonyFest14! And Fate of the Gods Ponies! The Thor in Norse Mythology Masterpost!